As much as 25 percent of Antarctica’s annual ice melt is occurring during the winter months despite subzero temperatures averaging -48°C (56°F) during the continent’s coldest months. Automated instruments on the Larsen C ice shelf – the world’s largest floating glacial ice platform located east of the Antarctic Peninsula – have recorded “extensive surface melting,” according to new research presented by Peter Kuipers Munneke at this year’s European Geosciences Union, reports New Scientist. 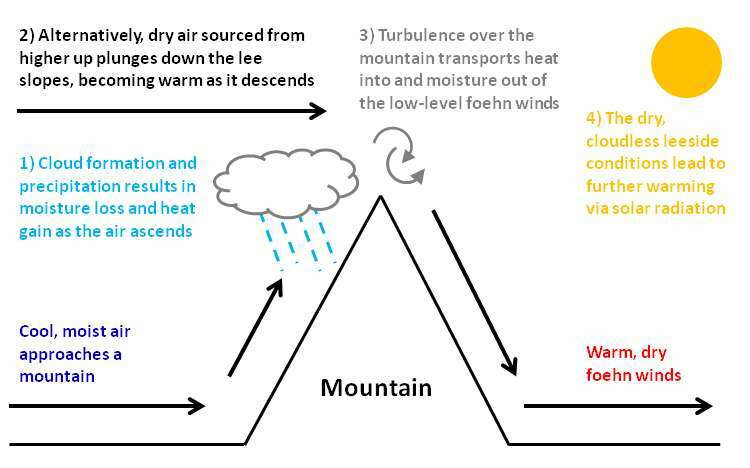 Its cause points to a weather pattern unique to mountainous regions known as the Foehn (pronounced "foon") winds. Long recorded as occurring during the summer months, researchers now say extensive melting during the winter months – sometimes even more than in the summer – can also be attributed to this wind event. Researchers knew the Foehn winds caused melting during the summer, but until now the extent of melting during the winter was not known. They say it is likely to happen “more and more often” as the peninsula continues to warm. Foehn winds start when warm, moist air rises up the side of a mountain that faces the prevailing wind, called the windward or upwind side. As the wind hits the mountain, it is forced to rise over it in a process called orographic lift. As the altitude increases and air pressure decreases, the air expands and cools (adiabatic cooling) until it reaches its dew point. Here, water droplets begin to condense and create rain and snow at the top of the mountain. As the winds descend down the leeward side (downwind), they become warmer through adiabatic compression and are stripped of their moisture. In 2015, the team installed an automated weather station at the ice shelf to detect snowmelt. While the impact of Foehn winds have been known for decades, researchers did not understand how extensive the melting was during the year's coldest months, or how long it lasted. They discovered winter melting often lasted for several days. Meltwater – water released by the melting of snow or ice – can destabilize ice shelves in several ways, ultimately leading to sea level rise. Researchers say this melt is probably destabilizing the Larsen C ice shelf, the trillion-tonne iceberg that broke off of Antarctica last summer. 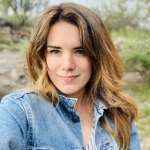 The findings will be published in Geophysical Research Letters.